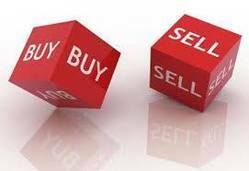 E-Broking is fast becoming the preferred mode of trading among investors. It gives user the independence of trading anytime and anywhere. Orders can be placed immediately and user can access pending orders, executed orders and have full control over their account. - Purchase, Sales of various Scripts. - Outstanding Script of various Clients. We are managing Portfolio of well-to-do clients with the goal to providing them better opportunities to trade & earn in stock market handsome return. The act of placing buy/sell orders for financial securities and/or currencies with the use of a brokerage's internet-based proprietary trading platforms. Looking for Online Stock Market Courses Nifty Trading Academy provides Best Share Market Trading Courses with Online Workshop at lowest price in India. Proven track record and clients feedbacks available.